Exactly Which Sinful Desserts We Stuck Our Forks Into At The Awesome Big Chill Cakery In Khan! It was the year 2015. Big Chill had just completed 15 years of awesomeness in Delhi, and they thought of giving their customers a sweet surprise. And as they say, the rest was history! In the outer lane of Khan Market, The Big Chill Cakery opened its doors to the greatest of applause. Touched up with the most sophisticated and chic interiors, this Cakery has won the hearts of many since day one! Needless to say, The Big Chill Cakery serves nothing but quality food, from extra-sweet cakes to cookies, from sinful cupcakes to in-house ice creams. Regarded as one of the finest, we paid them a visit so we could recommend what best to try here! Read on and gear up to drool peeps. Let alone the visual representation, the name in itself speaks volumes! There’s sour fruit, the freshest of cream, the darkest of chocolate and when all of them come together, a dessert worthy of receiving an Oscar is born! Three layers of decadence and when one takes a bite of all three at once, there’s bound to be an explosion of flavours! Trust us, this one will give you an instant sugar rush! 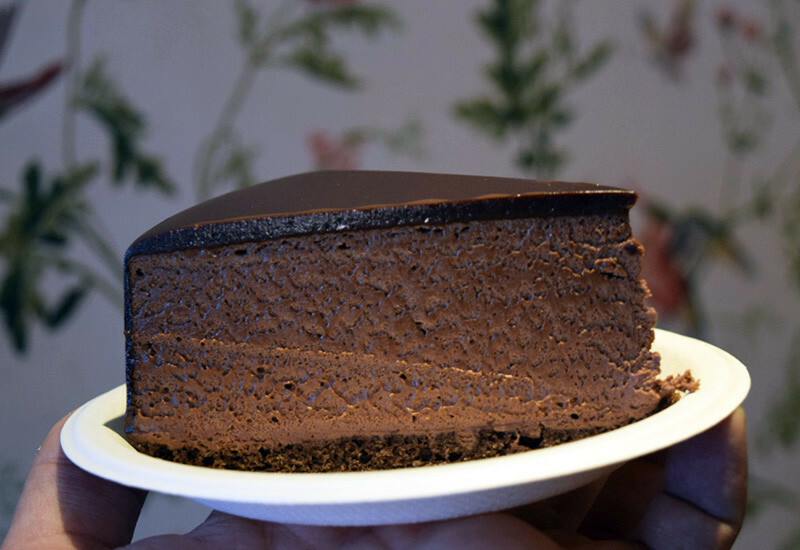 There is no way in a million years that someone walks into The Big Chill Cakery and leaves without trying this little piece of heaven! From the thickest chocolate icing on top to the softest mousse ever beneath it, we simply couldn’t stop glowing from all the chocolate that speared through us. It goes without saying that this Chocolate Mousse Cake is the best we have ever tasted and goes down in our personal dessert hall of fame! From the wide variety of cupcakes on offer, we chose to stick to basics and how! 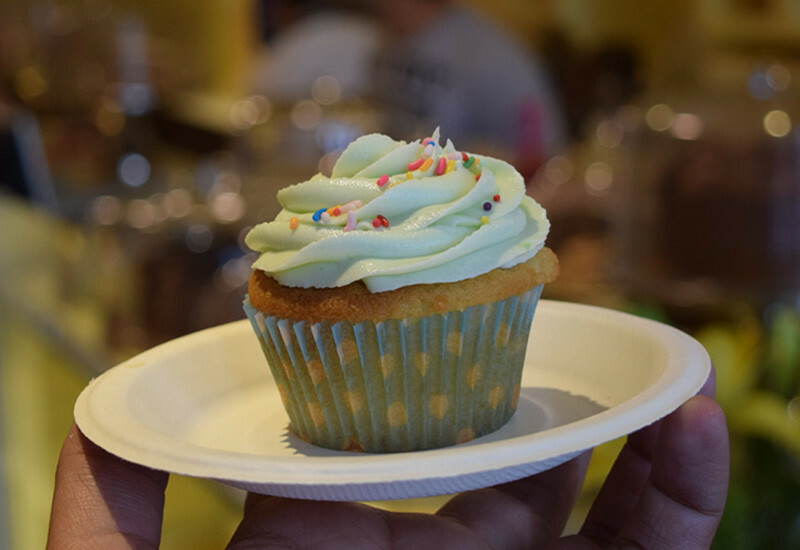 The Cakery’s Vanilla Cupcake is nothing short of an exemplary piece of art. In times when bakeries mess up their muffins and cupcakes by making the dough dense, the Cakery gets the consistency of their cupcakes on point. They’re fluffy, they’re soft, they’re buttery and are topped with one of the most decadent vanilla creams we could have laid our tongues on in Delhi. 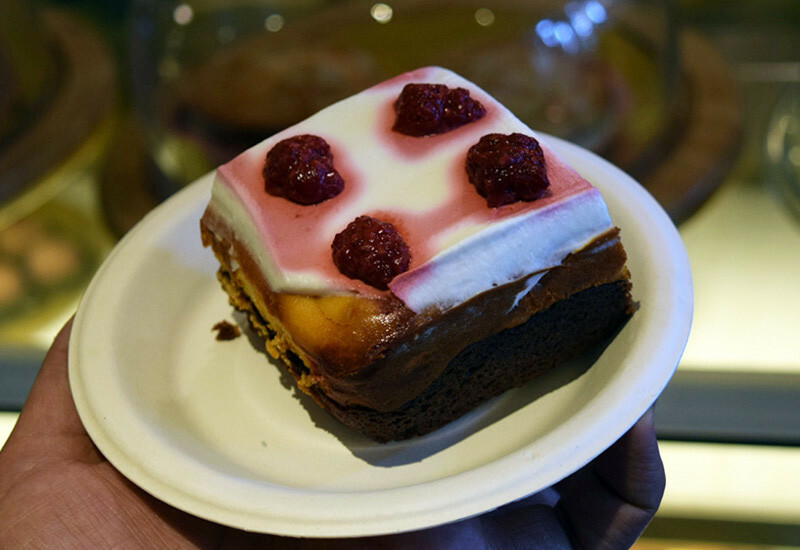 Haven’t we gushed enough to make you head over to the Cakery? The Cakery also serves some fresh savoury items like croissants and baguettes, or you could anyday purchase their fancy, freshly made breads. The variety of their cupcakes is enormous. You get an option to choose from Vanilla, Malted Chocolate, Double Chocolate Peanut Butter, Strawberry, Red Velvet or even Mocha flavour. Even the muffins have a wide variety ranging from Raspberry Lemon to Blueberry to Chocolate Chip. Plus, they have also now introduced new flavours in their ice cream section apart from the ones listed on the menu in the regular BIg Chill cafes. Although Cakery tends to be a little on the expensive side, but then who minds paying extra for a box full of goodness! See you there, forks in tow.